The intersection of visual art and music was explored in an ambitious program by the Miami Symphony Orchestra Saturday night at Florida International University’s Wertheim Concert Hall. Three contemporary works and a rarity by Ottorino Respighi were accompanied by images of paintings and sculpture that provided direct or incidental inspiration for the music, along with an exceptionally gifted young violinist offering radiantly spun Mozart. The world premiere of In Memoriam Earle Brown by Orlando Garcia, Dean of FIU’s School of Music, opened the program with a kaleidoscopic array of luminous orchestral colors, applied with the softest brush strokes. 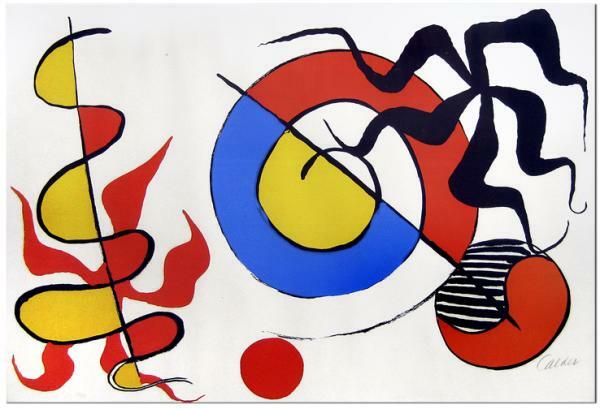 Partly inspired by the mobiles of Alexander Calder, Garcia’s often quiet orchestral tapestry of string tremolos, tingling mallet percussion and wind and brass fanfares perfectly matched the projected Calder images. Garcia’s array of coloristic effects were skillfully crafted and the instrumental choirs each wore different colors, corresponding to the art. Conductor Eduardo Marturet’s carefully prepared performance vividly reproduced the composer’s enchanting sound palette. One of Garcia’s wonderful inspirations was to assign solos to players in the back rows of the strings as well as to first chair players. A heartfelt tribute to an important 20th-century composer, the score is a wonderfully inspired confection. Five Klee Pictures by Sir Peter Maxwell Davies offer quirky sound portraits of Paul Klee’s distinctive art. Austere wind harmonies in Oriental Garden are succeeded by the humorous brass- and percussion-dominated Twittering Machine with a salty pinch of Gershwin and Leroy Anderson. Dark strings intone in Stained Glass Saint while ominous bassoon and trombone solos highlight Ad Parnassum. The often surprising juxtapositions of instruments and sudden dynamic extremes of this Orkney Island composer never fail to fascinate. Marturet and his hard-working instrumentalists projected Davies’ sound world with appropriate waves of quiet whispers and harsh crashes of colliding timbres. While Respighi is best known for his splashy Roman orchestral blockbusters, he was a multi-faceted composer. His Trittico Botticelliano is a delicate, pastoral vision of three Botticelli paintings. Shimmering strings, lovely flute and oboe melodies and joyous dances paint the artist’s colors in sweetly tinted Italianate impressionism. Marturet’s vivacious leadership and the ensemble’s well articulated instrumental textures conveyed much of Respighi’s subtle tone painting. Symphony Rock by principal trumpet Samuel Hyken was a rousing, entertaining pastiche of Copland-style hoedowns, jazz and soft rock with major solo roles for flute, trumpet, trap percussion and electric guitar. A modest audience pleaser, this hybrid wisely does not wear out its welcome. It was accompanied by images of such iconic artists as Andy Warhol, Jasper Johns and David Hockney. The consistently interesting visual components were curated by Carol Damian, director of the Frost Art Museum at FIU. This imagery should be even more effective Sunday at the New World Center with that venue’s sophisticated audiovisual systems. The Hungarian-born violinist Kristof Barati was the highly accomplished soloist in Mozart’s Concerto No. 3. A paragon of period classical style, Barati brought rhythmic bite and character to every bar. His silken tone and songful phrasing spun the Adagio into the most sublime interlude between the gutsy opening Allegro and a Rondo that mixed vigorous bravura with aristocratic understatement. Barati offered a dazzling cadenza in the first movement, dashed off with élan. Clearly an expressive and probing musician, Barati is an artist to watch. Marturet offered well coordinated, stylish support with some particularly fine string playing.